If you've ever seen your pup drooling over a puzzle toy filled with peanut butter, you know dogs love nutty flavors. Unfortunately, most nuts are high in fat, and some may even contain potential toxins that can be harmful to our canine companions. While nuts are tasty to us, it's best to keep them away from your four-legged friend or only give a few safe nuts to him as a treat. Here's the lowdown on nuts and which ones are safe for your pooch. 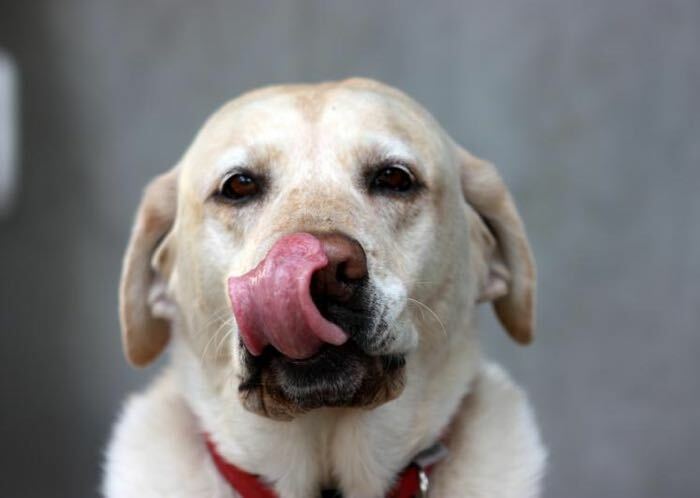 Never give salted, sugared or flavored nuts to your pooch because salt and sugar are bad for dogs. The same guidelines apply to any nut butters. Choose those low in sodium and sugar for Fido. Avoid chocolate-covered nuts because chocolate is toxic to dogs, causing tummy upset, tremors and, in large quantities, can even be fatal. And stay far away from nuts flavored with xylitol, a sugar substitute, which is also potentially lethal to canines, even in small amounts. Peanuts, both raw or roasted, are safe for pups. That's because they're not tree nuts, but legumes, like beans. However, they are high in fat, so only feed a few nuts at a time, or give your pup a spoonful of yummy natural peanut butter. Note that some dogs may have allergies to peanuts, so check with your vet if you notice any symptoms like tummy upset and itchy skin after a nutty snack. Cashews and pistachios aren't toxic to dogs, but are high in fat and can cause pancreatitis in large quantities. They're best given in small amounts. And always give shelled pistachios as those in the shell can cause an intestinal blockage. While not toxic to dogs, these tree nuts are high in fat and bigger than other nuts. Because dogs can't chew nuts as well as humans, the nuts may become a choking hazard or cause an intestinal blockage. Note that moist, old or non-commercial tree nuts can develop a type of mold which can be toxic to dogs. The mold produces mycotoxins that cause seizures, neurological symptoms and even death. Chestnuts are starchy, like apples or potatoes. They're nontoxic to dogs, but they are pretty big and could cause an intestinal blockage. Don't confuse safe, sweet chestnuts with horse chestnuts, which are toxic to humans and pups. Horse chestnuts can cause vomiting, seizures, paralysis and can sometimes be lethal. These nuts aren't toxic to dogs but are high in fat, so they could cause pancreatitis or tummy upset. All three can cause an intestinal obstruction or become lodged in the esophagus, so it's best to avoid them. Avoid macadamia nuts at all costs. They are considered toxic to dogs. These are part of the grape family — also not good for pups — and contain an unknown toxin that can cause neurological symptoms and paralysis. Plus, they're rich in fat and can cause stomach upset and pancreatitis. Stick to commercial nuts which are blanched or roasted to kill harmful salmonella bacteria. And don't forget to store nuts in the refrigerator or freezer to keep them free of mold. Want to give your pooch a super safe peanut-flavored snack? Try Milk-Bone® Peanut Butter Flavor Biscuits Variety Pack to satisfy your pup's desire for nutty goodness. Photo Credit #1: "Lots of Pecans" by Tony Alter via Flickr. License info. Photo Credit #2: "Tongue Talent" by Michael Dorausch via Flickr. License info.